Transcodium-TDM22/TDM28 is the superior encoding/transcoding solution for producing Mobile TV, Internet TV, and IPTV and broadcast live video services from a single platform, eliminating the need for separate headends. 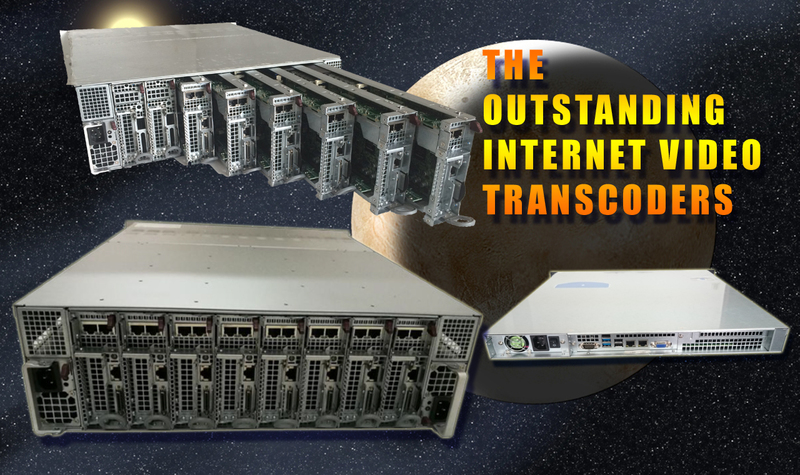 The transcoder delivers high-quality services to tens of thousands of users worldwide, from bandwidth-limited mobile delivery to up to full 1080p HD over high-speed networks, for traditional TVs or big screen smart mobile devices. Multi-screen transcoder can transcode MPEG-2 or MPEG-4 AVC (H.264) or H.263 content to multiple codecs and stream in different protocols, enabling new multiscreen services. Transcodium-TDM22 runs on powerful hardware, representing the highest density available with the highest performance on a carrier grade 1-RU server platform. Enables to deliver impressive images to various platforms, such as Facebook Live, YouTube Live, UStream; and servers, such as Adobe Flash Server, Wowza Server, Windows Media Server, Apples HTTP Live Streaming, and some other servers base on UDP/RTP/RTSP/HTTP/MMS/ FTP/RTMP/HLS protocols.